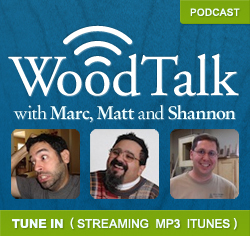 Wood Talk No. 111 is waiting for you! On today’s show, the boys are talking about hide glue and glueups. It’s a show full of sticky situations! The show notes and download can be found by following this link Wood Talk No. 111 “Statistical Rant”. Don’t forget to visit our Wood Talk sponsors Bad Axe Tool Works and Benchcrafted.